Show off your gaming PC build while keeping your components cool with the TURRET MESH Mid-Tower Case from COUGAR. Designed for ATX, Mini-ATX, and Micro-ATX motherboards, the TURRET MESH boasts a tempered-glass side window that's ideal for showcasing your build. Two 3.5" and two 2.5" drive bays come equipped with the case, along with an included 120mm rear fan. 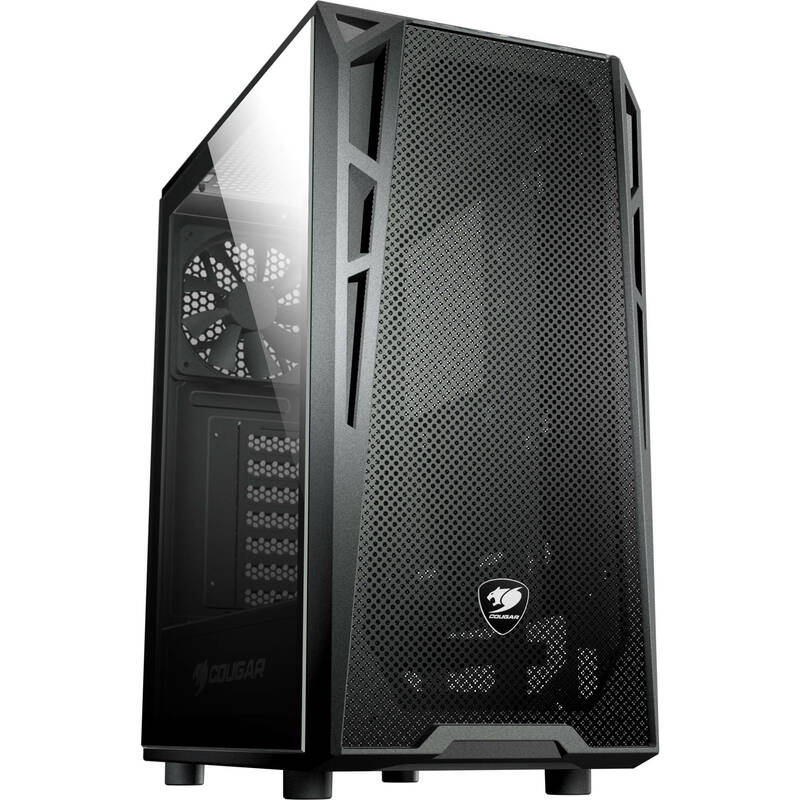 The TURRET MESH also features a mesh front cover designed to optimize air flow, support for front, top, and rear radiators, and room for graphics cards up to 13.8" long. A full-size tempered-glass side window gives you an ideal view of your computer's internal components and optional lighting. With a mesh cover that allows air to pass through as well as support for six fans and three liquid cooling radiators, TURRET MESH is ideal for building a powerful gaming computer and keeping it cool. Allows air to go in and out of the case with ease. With support for up to three 13.8" graphics cards, TURRET MESH can help your PC run the latest games smoothly. Internal Drive Bays 2 x 3.5"
Box Dimensions (LxWxH) 21.0 x 20.0 x 11.0"